Caltrans is undertaking a six-week experiment on eastbound state Route 78 to study whether getting motorists to slow down could actually speed up their commute. 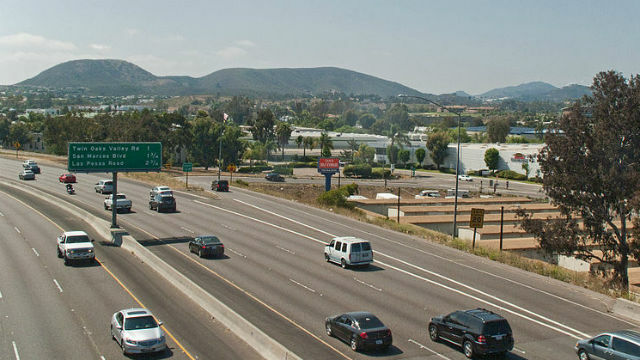 Caltrans San Diego crews have placed seven electronic speed signs on eastbound State Route 78 between Vista Village Drive and Interstate 15. During commute hours, the speed signs will advise travelers of speeds that will optimize their commute time, even though those signs will show optimal speeds below the speed limit, according to Caltrans officials. The electronic speed signs will display advisory speeds — always in increments of 5 mph — that are not enforceable by law, but that act as an advisory for the best way to avoid traffic jams, Caltrans officials said. The study is being completed by Caltrans in partnership with the Institute of Transportation Studies and UC Berkeley’s Partnership for Advanced Transportation Technology. Those interested can also follow the study’s real-time results at www.caconnectedvehicletestbed.org/VSA/.